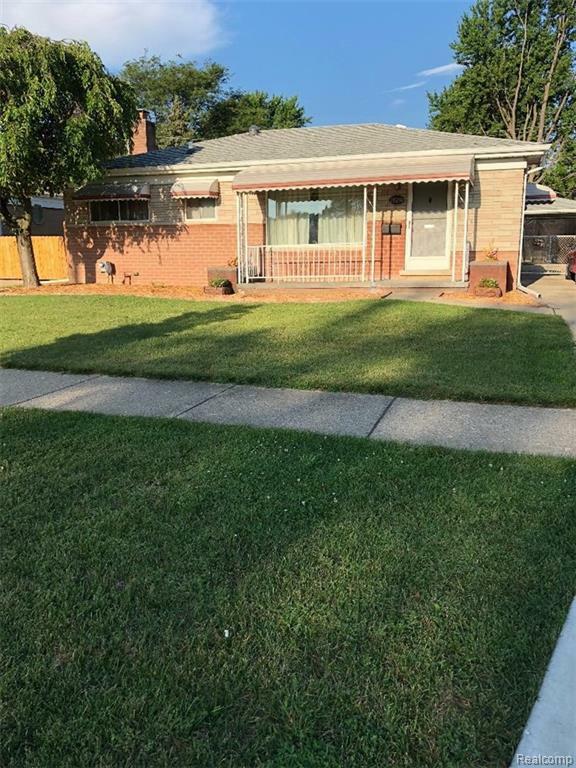 WELCOME HOME TO THIS BEAUTIFUL AND VERY SOLID BRICK RANCH, LOCATED IN A PRISTINE AREA OF WARREN. PRIDE OF OWNERSHIP IS VERY EVIDENT. FEATURING 3 BEDROOM, 1 1/2 BATH, LARGE SPACIOUS EAT-IN KITCHEN WITH SOLAR SKYLIGHT, (ALL APPLIANCES STAY), OPENS TO A FAMILY ROOM WITH GAS, FREE STANDING FIREPLACE, DOOR WALL TO LARGE 2 LEVEL DECK WITH ARBOR COVERING FIRST LEVEL. ENJOY THE DELIGHTFUL NICE SIZE BACKYARD WITH ALL THE METICULOUSLY MAINTAINED LANDSCAPING. HUGE FINISHED BASEMENT WITH BAR AND HALF BATH, OFFERS GREAT SPACE FOR ENTERTAINMENT. 2 1/2 CAR GARAGE, NEWER ROOF ON HOUSE, CENTRAL AIR, EXCELLENT WARREN SCHOOLS, AND CLOSE TO ALL AMENITIES. THE ENTIRE STREET WAS TOTALLY REDONE IN 2015 WITH A COMPLETE NEW CITY WATER SYSTEM. MAKE AN APPOINTMENT TO SEE IT TODAY! IDX provided courtesy of Realcomp II Ltd., via Vision Realty Centers and Realcomp, ©2019 Realcomp II Ltd. Shareholders.